This killer storm floated our house away from the foundation!! 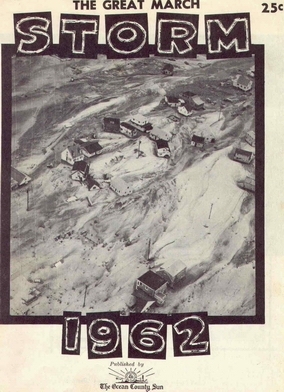 By the luck of the draw, we made the cover of The Great March Storm of 1962 magazine which featured Jacqueline Avenue in Holgate. 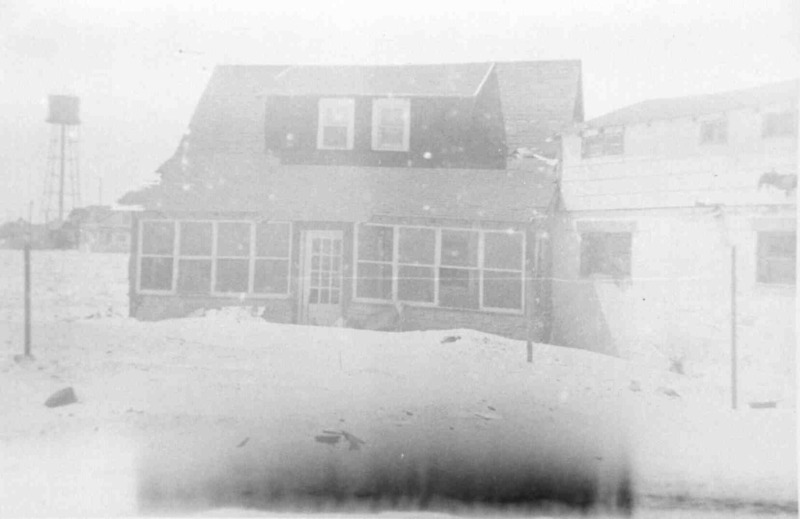 Our house is the dark one with two windows in the upper dormer, directly under the O in STORM; it came to rest on an angle against the rear of our neighbors' lighter colored home to the right. 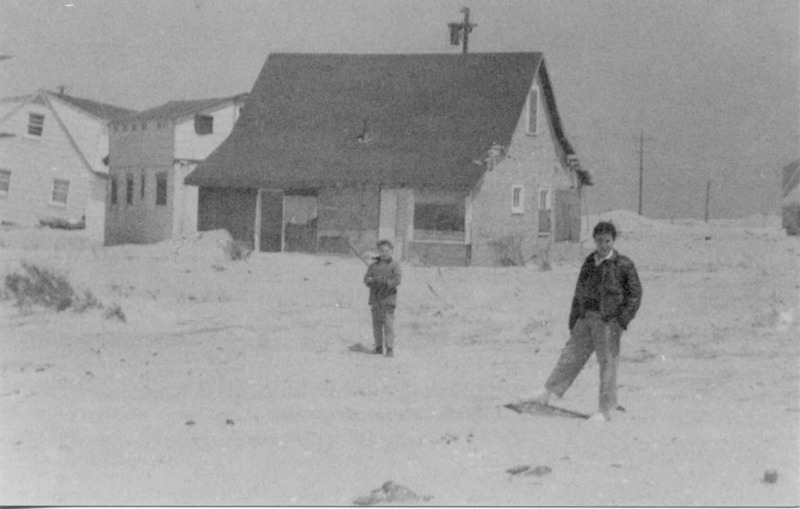 All the houses on the block are seen resting on a swirl of sand left by the ocean currents that had eventually receded, the street itself erased. For many months after the storm the only way to get from Beach Haven to Holgate was by jeep since the last couple miles of Bay Avenue had disappeared under the sand. A view of our house from behind, with Jim and older cousin Eddie.